We welcome your submissions to Our Times magazine. Below are the writer guidelines for our three main subject areas: Features, Poetry, and Working For A Living. Please read our requirements before sending your work to us. Send us a proposal which includes an estimated word count. Tell us about the topic, your angle (and what the other side is saying), and why you think your story would interest Our Times readers. Point us to a sample of your writing and, if applicable, provide us with a list of publications you’ve written for. If you’re a new or emerging writer, don’t worry if you don’t yet have such a list. Give us a month to respond. If we don’t, then contact us again. 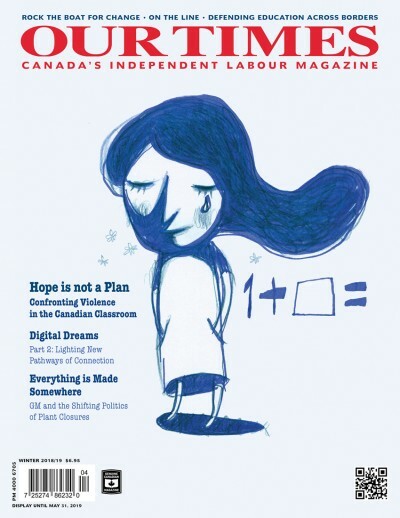 Please note that, as a Canadian labour magazine, we generally prefer Canadian-based stories. If you get the green light from us, send in your article. An email attachment is best. Provide us with your name, address, telephone number and email address, and a short biography of yourself at the end of your article that includes where you live and work, and, if you’re a union member, include the name of your union local. We generally follow Canadian Press style, and the Oxford dictionary for spelling. We are not an academic journal. The clearer and plainer the language, the better. Keep in mind that Our Times goes all over the country. Your story must hold the interest of readers from Vancouver Island to Corner Brook, Newfoundland. Features: 1,500 to 3,000 words. Reviews: 600 to 1,000 words. Alterations will almost always be necessary, so don’t be surprised. Usually we will send you a copy of the edited manuscript. This is your chance to respond to the editing. Every effort will be made to consult with you throughout the editing process. Do not sweat over headlines for your article. We’ll accept your suggestions, but we usually write them ourselves. Lead times are very long. The first draft of your story should be in at least two months before the issue for which it’s scheduled to hit the newsstands. For example, a story scheduled for the Fall issue should be in our hands no later than the end of June. It’s crucial for you to meet the deadline. If you’re going to be late or you’re running into trouble with your story, let us know. Otherwise, we’ll be counting on you. You own your story. All we purchase from you is the right to publish your article first, before anyone else. If you’ve sent your article to other publications as well, please let us know when you submit it. If anyone wants to reprint your article after seeing it in Our Times, we will refer them directly to you. Our Times has a small contributors budget for each issue. We gratefully accept articles labour-donated by activists already gainfully employed in occupations other than writing. For working writers, we generally pay at least a $100 honorarium for short stories and smaller features up to 1,500 words, $200 to $300 for longer features, and $25 for smaller items. If more articles than usual have been labour-donated in a particular issue, we can sometimes pay more. We pay $50 for reviews. We pay earlier when we are able to, but generally on publication. Contributors will receive a copy of the magazine as well as a one-year subscription. Our Times publishes poetry in every issue. Maureen Hynes, the magazine’s poetry editor, is looking for poems that reflect the themes of workers’ lives, rights, insights, and social justice. Email your submission (maximum eight poems) to Our Times’ poetry editor, or mail it to: Our Times, Poetry Editor, Suite 407, 15 Gervais Drive, Toronto Ontario M3C 1Y8. Please allow eight to 12 weeks for a response. If you are submitting poems by regular mail, please include a stamped, self-addressed envelope. If your poem is accepted, we will pay you $50 on publication. “Working for a Living” is the name of Our Times’ ongoing series of short stories about work, by people from across Canada. We welcome unsolicited submissions to this ongoing series of short stories. Our Times respects workers and the work they do, whether it’s fishing, filing, cleaning, inspecting, building, teaching, mining, or working in a hospital or call centre. We want stories to have a tone of respect. Generally speaking, we’re hoping to receive stories by people about the work they do: who you work with and what your work looks, smells, tastes, feels like. A day (or night) in your work life. Do you like your job? Hate it? What are the best and worst parts? That kind of thing. A story can, of course, be funny, sad, serious or all three: your choice. True accounts (creative non-fiction) are encouraged. 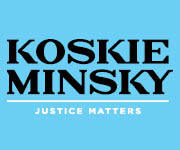 Keep in mind that Our Times is a labour magazine that believes in jobs with justice and collective efforts for change. The best method is to send your story as a Word attachment, via e-mail. Next best is to paste your story into the body of your email message. Third best is to send your story, by regular mail, to Our Times/Working for a Living, Suite 407, 15 Gervais Drive, Toronto Ontario M3C 1Y8. Please allow eight to 12 weeks for a response from us. We’ll pay you $100 if your story is accepted for publication.